It's Fall, y'all! 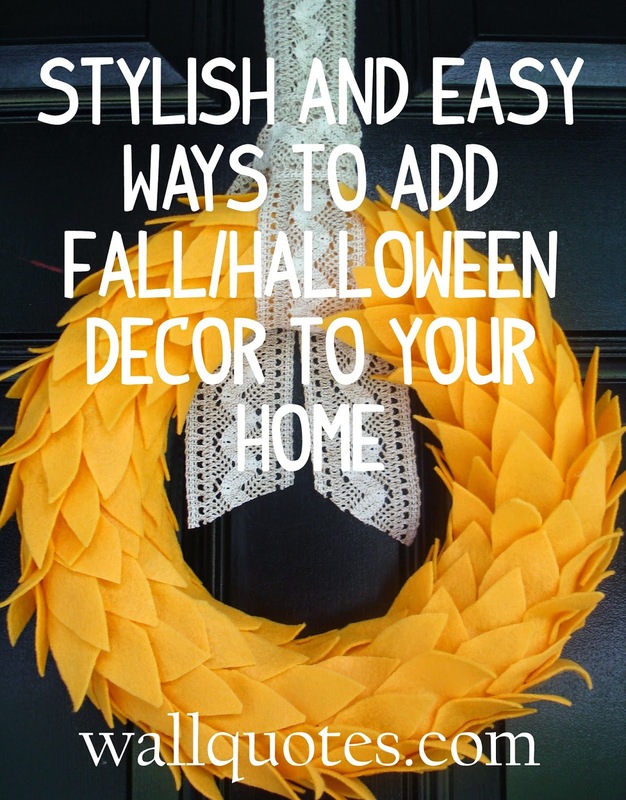 Which means it's time to start thinking about adding some Fall and Halloween decor to your space. Whether your style is modern, eclectic, cottage, or you have a style all your own (go you! ), we're here today to share some of our favorite seasonal decor items from around the web. Let's get started. 1. Put down the knife and pick up your palette. 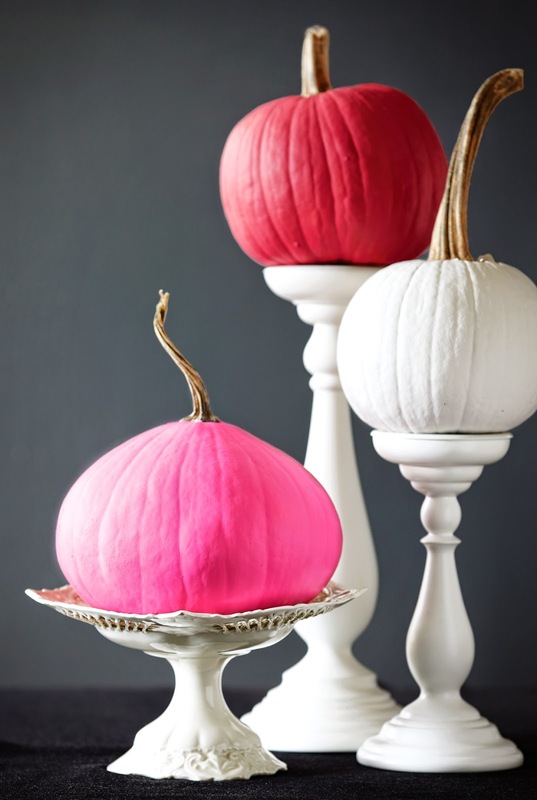 Painting your pumpkins, especially if you choose unexpected colors, is an easy way to add a modern twist to your Halloween decor. Chatelaine shows you how to get the look. 2. Seasonal vignettes don't have to be fussy. A few coordinating elements is all you need to achieve a festive look. Our own Whoo Wants Candy Wall Quotes™ decal is ideal for a simple indoors vignette, but would also look great on your front door to welcome trick-or-treaters to your home. 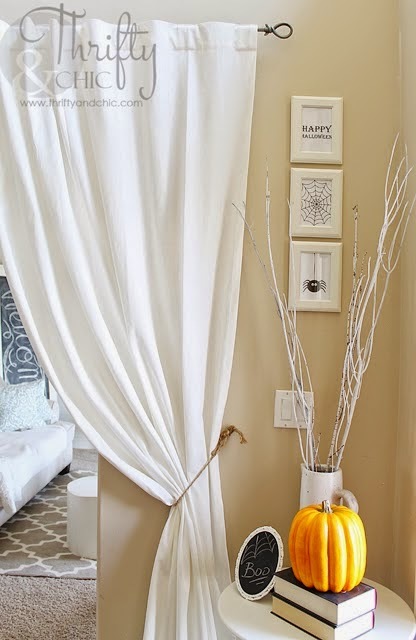 Thrifty & Chic shares their take on a no-fuss Halloween vignette (and also includes a free printable--yay)!! 3. Decorative wreaths are a quick and easy way to add modern seasonal flair to your home decor. 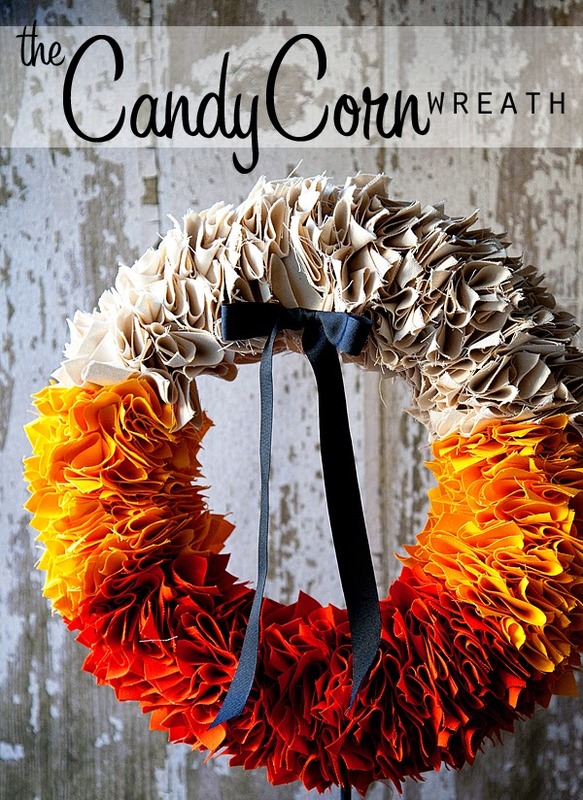 This Candy Corn Wreath from House of Smiths is a favorite of mine-super cute! 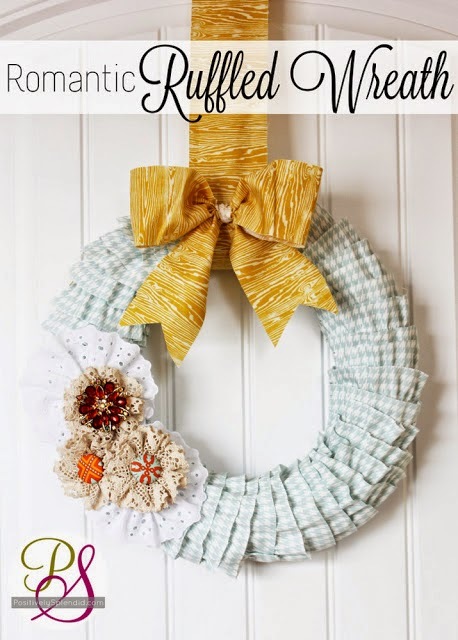 Or how about this gorgeous ruffled wreath from Positively Splendid? LOVE that fabulous wood-grain fabric she used to hang it! 4. Art prints are another way to add stylish seasonal flair to your home for the holidays. Just add a frame and you're done! 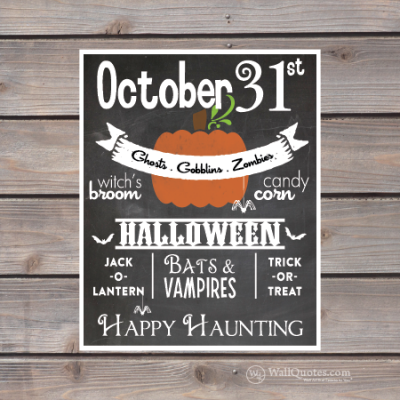 These Halloween art prints are part of our new collection at WallQuotes.com! 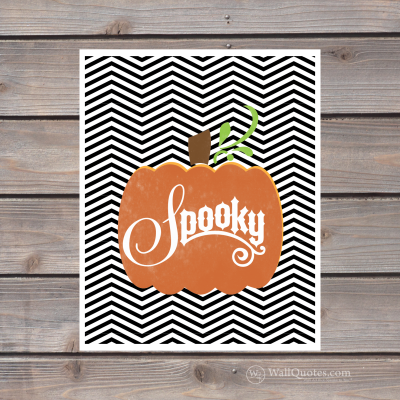 Find the Spooky Pumpkin Chevron Wall Quotes™ print here and the Subway Art Wall Quotes™ print here. 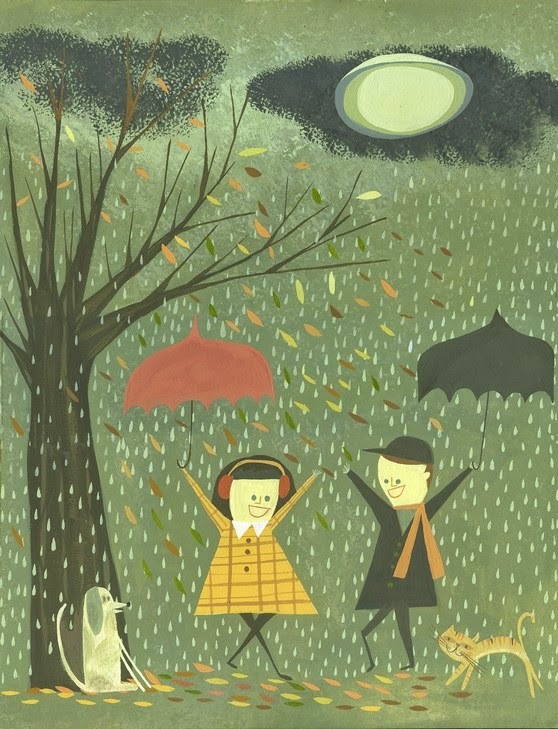 This enchanting art print from matte art on Etsy would be perfect in about 8 different spots in my home. 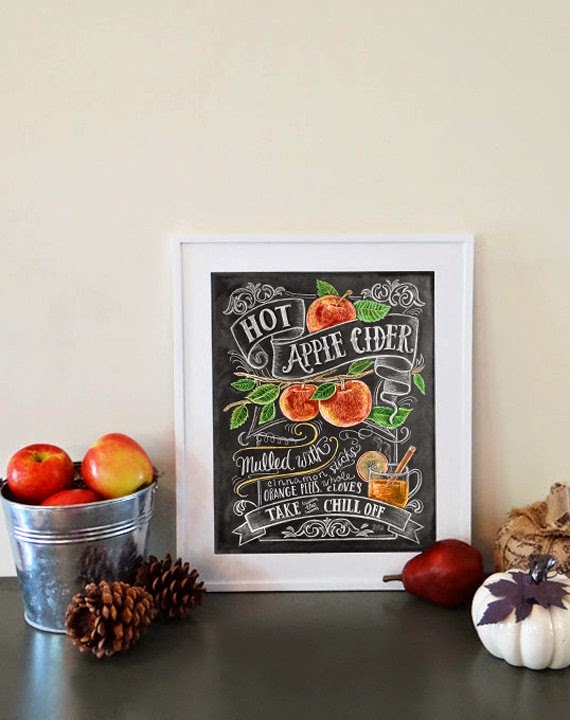 My kitchen NEEDS this Hot Apple Cider print...such lovely, hand drawn work is the perfect piece to coordinate with any decor style!